The mighty Stubai Glacier towers up in the distance. Live webcam Panoramic view on the skiing area. Neustift im Stubaital and the Elfer peak in summertime. The friendly witch Klara is part of the “BIG Family Summer-Club”. Fun with Wusel, the water ghost. That’s Tyrolean: dark bread and speck on the Ochsenalm pasture. Neustift im Stubaital in the cold winter months. View from the village to the Stubai Glacier. Winter in the Stubaital valley. The Stubai Glacier is the largest glacier skiing area of Austria. On 3,210 m asl there is the panoramic platform “Top of Tyrol”. The restaurant “Jochdohle” on 3,150 m asl is the highest mountain restaurant all over Austria. Unforgettable! Snowshoeing in the Stubai Alps. Already the Romans left their marks in this area. The Stubaital valley has been mentioned for the first time in 1000 AC under the name of “Stupeia”. 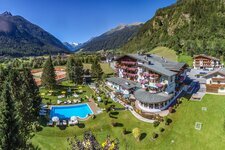 However, Neustift im Stubaital is surrounded by majestic mountain peaks. Exactly 109 mountains tower in this area, which are more than 3,000 metres high. Neustift, located only 25 km from the Alpine city of Innsbruck, is characterised by the parish church Saint Georg. This church, by the way the second largest village church of Tyrol, features an interior with magnificient frescos. In Neustift im Stubaital and surroundings, there are several hiking trails, e.g. the alpine fauna educational trail, the “WildeWasserWeg” and the popular Stubai high path. 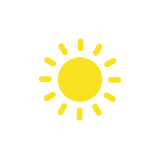 However, there are also four outdoor swimming pools in the surroundings, providing refreshment on hot summer days. Moreover the Mieders summer sledge track guarantees fun and action along 40 steep turns. More comfortable? The “Stubaier Alpenexpress”, a pick-up train, takes you from the mountain station Koppeneck to Maria Waldrast. One glance only makes winter sport enthusiasts’ hearts leap for joy, as there is the largest glacier skiing area of Tyrol, which is the Stubai Glacier. From autumn on you can ski on 64 km of ski slopes, before enjoying après ski in one of the ski lodges. A total of 26 lift facilities take you on 3,210 m asl, hardly surprising that the Stubai Glacier is called “Kingdom of Snow”. In the unlikely case this skiing area might not satisfy your needs, there are also the Elferbahnen skiing area in the neighbouring Fulpmes as well as the ski centre Schlick 2000 and the Serlesbahnen Mieders skiing areas. Enjoy winter sports!